Save valuable class time! Prepay for class kits ahead of your class and pick up the kit when you get there! For selected classes and workshops taught by Trish we offer the opportunity to prepay for your kit. Kits are specific to a class and date and will be available for pickup at the start of class. Only kits for classes offered in the next 2-4 weeks will be available in the on-line store. 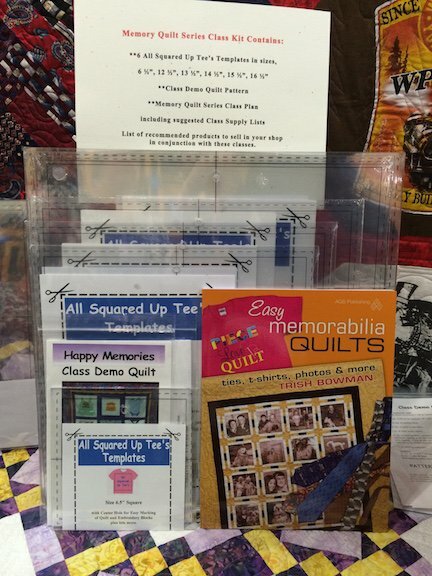 Kit of products to promote Memory Quilting. For Shops Only. Use Wholesale Logon to order.